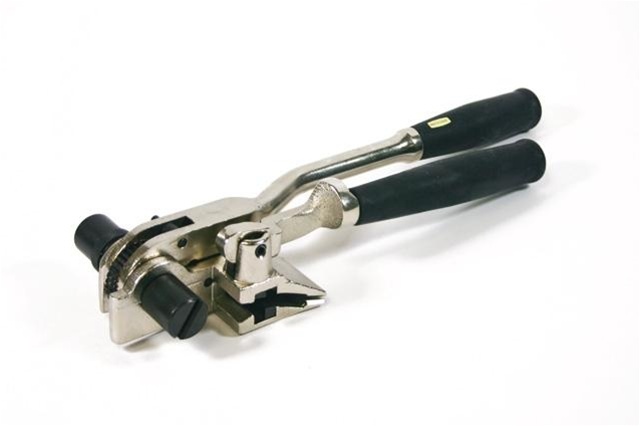 Tensioner Banding Tool used to fix stainless steel banding and strapping. These can also be used for cables, metal insulation, packing etc. with our Bandfix® Value band or heavier insulation products, these are regularly used on industrial oil and gas plants by metal laggers or cladders to hold securely metal around pipework or tanks. Used to apply Stainless Steel Band, can also be used for Galvanized or Carbon Steel Band and general steel strapping.